Sonal is the Head of Consultancy at SafeLives. Here she talks about the One Front Door model and why it is so important that we look at the whole picture for the whole family so we can start making vital links between the needs of individuals and the families they belong to. Each year, nearly two million people experience domestic abuse. It’s time we recognise the full scale of this epidemic and the impact it has on the whole family – including children. 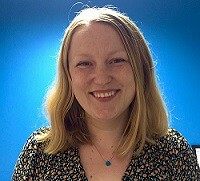 Briony has been working in the Learning and Accreditation team at SafeLives for nearly five years, training on our Idva, young people’s practitioner and outreach worker’s courses.